We offer several specials and discounts year round to help. This section will show what is currently offered and what is coming up. Check out our various sections of specials through the drop-down menu. 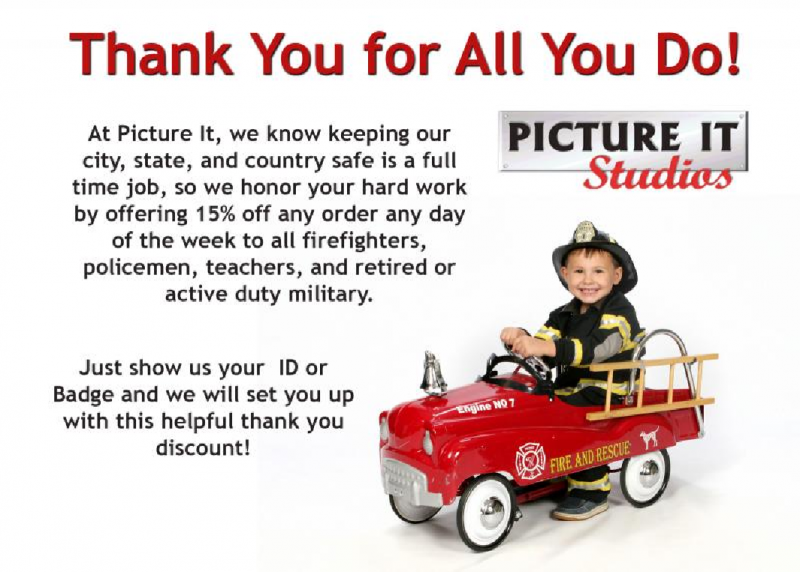 At Picture It Studios we know that keeping our City, State and Country safe is a full time job, so we honor your hard work by offering a 15% discount any day of the week to any Firefighter, Police person, EMS, Teacher, and Retired or Active-duty Military. Just show us your employment realated I.D. or badge and the discount is yours!